ESA astronaut Alexander Gerst has just logged 300 cumulative days in space across two missions (Blue Dot and Horizons). He reached the milestone on 16 October and now holds the record for third-longest time in orbit of any European astronaut after Thomas Reiter and Paolo Nespoli. 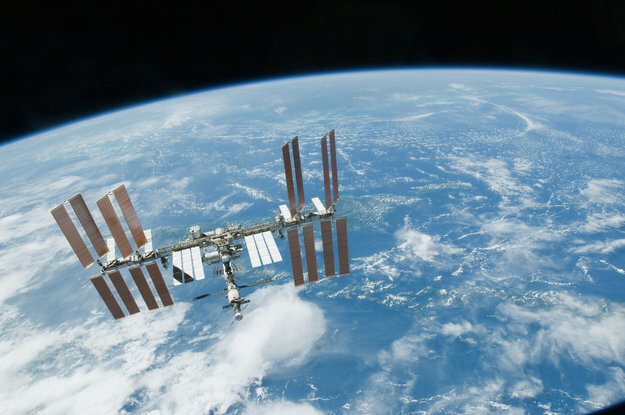 Orbiting Earth once every 90 minutes, the International Space Station soars into 16 sunrises and sunsets every single day. So, how did Alexander celebrate his 4800th orbital sunrise? With more science in space for the benefit of Earth. You might recall this recent update on ESA’s next generation life support system. This system produces water from carbon dioxide in the air and turns it into oxygen – reducing the requirement to ship water from Earth by half. And, last week, Alexander completed its installation on board the Space Station in NASA’s Destiny lab. With power and data cables now mated and in place, the system is ready for activation in November when it will start supplying oxygen to the crew. During this installation, Alexander received an extra helping hand from ground control with an operational aid called ‘mobile procedure viewer’ or mobiPV. When performing tasks like these, astronauts usually have a computer nearby with step-by-step instructions to refer to. But this can be cumbersome, so ESA’s solution sees astronauts wearing a smartphone on their wrist that connects to the Space Station’s procedure library and shows the instructions on-screen. Using the system, Alexander could concentrate on the work at hand, without the need to down tools as he went back and forth to a computer. “Great work to the whole development team. I did the whole procedure off mobiPV and it worked even better than I expected,” he said during the installation. 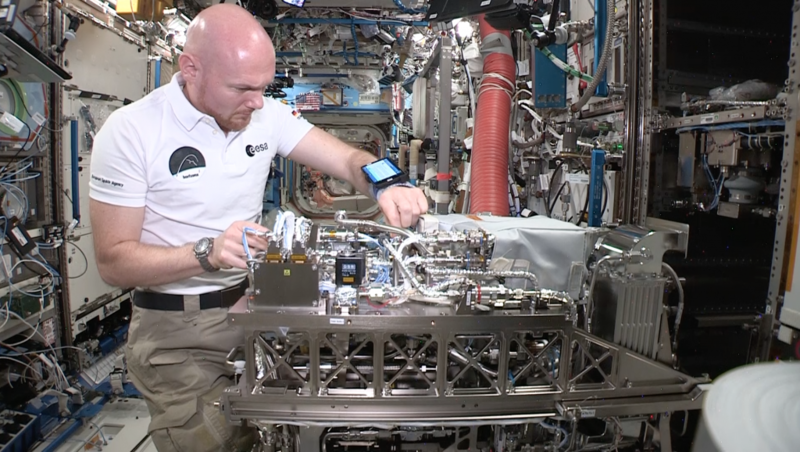 Alexander Gerst uses hands-free system mobiPV to help install a new life support system in NASA’s Destiny lab. This positive feedback was reiterated last week in the follow-up questionnaires for mobiPV and SpaceTex – the first clothing physiology experiment to be performed in microgravity. The Fluid Science Laboratory allows researchers to study how different fluids and materials behave in the absence of gravitational effects. Scientists in Europe will receive a new batch of data this week from its microgravity isolation system. The Lab accommodates a number of different experiments at once. The latest addition, Soft Matter Dynamics, aims to improve the stability of foams, emulsions, gels and aerosols. Find out more directly from Alexander as he discusses how soft matter research can lead to industrial applications. The Fluid Science Laboratory is one of many instruments supporting sophisticated research in Europe’s Columbus module. Celebrating its 10th year in operation, Columbus is the European hub for research in life and physical sciences, space science, Earth observation and technology demonstrations on the International Space Station. ESA astronaut Thomas Pesquet uses Everywear on board the International Space Station during his Proxima mission. Alexander will run some medical tests with an app developed for ESA, EveryWear. 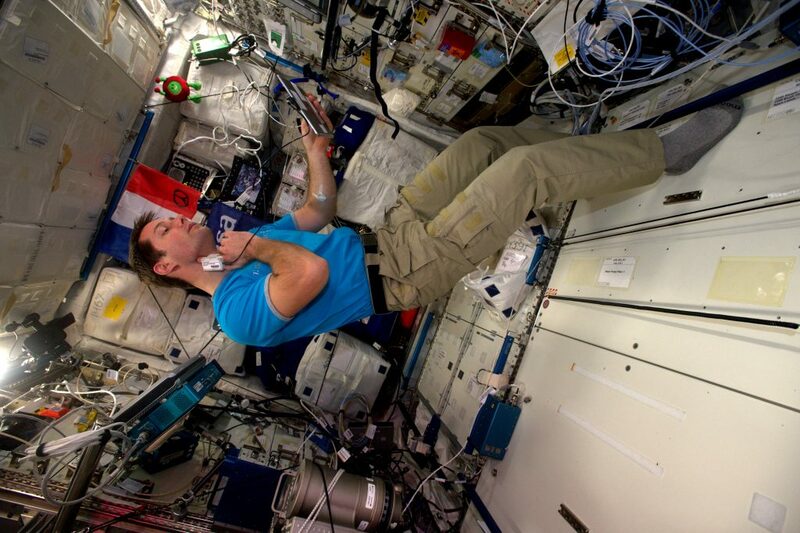 This iPad-based application collects physiological and medical data from astronauts on Station. It is connected to wearable biomedical sensors that record exercise, heart rate and sleep quality. It can even be used to track food intake. Find out more here.